Updating or remodeling your bathroom with customized shower doors is not only a great way to make your bathroom look better, it’s actually easy! Replacing your bathroom shower door glass can increase your home’s value and make your bathroom more enjoyable to use. While prices can vary depending on your shower’s layout, here are some tips for getting exactly what you want for the price you need. One of the biggest factors in glass shower door replacement is how much work the upgrade requires. Each glass door installation is unique, so working with a professional will make the job easier. Shower glass contractors will typically remove old fixtures or modify them to work with new shower door replacement hardware. Plus, they can create custom doors from scratch and offer a variety of standard precut sizes that may work well for your space. What’s the best glass for shower doors? It really depends on your taste. From textured glass panels and etched shower doors to glass thickness, you have a huge selection to choose from. Using textured glass panels and etched glass doors for your shower is the perfect way to add visual interest and varying levels of opacity by creating subtle shifting of light. High-quality glass like Low-Iron Ultra Clear Glass may be the best glass for shower doors, offering unmatched durability. When replacing your bathroom shower door glass, you have the opportunity to go framed, frameless or even semi-frameless. Your shower door installer can show you the advantage of making the switch from framed to frameless or a semi-framed shower door. For a more modern look, purchase frameless shower doors, which have sleek lines and flawlessly clear glass. If you prefer the style and tradition of a framed shower door, consider a semi framed glass shower door. This will give you the increased function and current style of frameless with the more traditional feel of framed shower enclosures. From shower door handles to towel bars and cabinet hardware, the options for your shower door replacement hardware are endless. Bathroom hardware is available in plenty of stunning finishes to enhance your bathroom’s décor. Brushed finishes are a great option for ‘soft’ décors, mirror-like finishes offer a nice sparkle, and antique and high-tech finishes are for anyone thinking outside the box. If you’re the type that likes to keep up with the trends, choose oil-rubbed bronze. It offers a hand-brushed appearance that captures the timeless beauty and true artisanship. 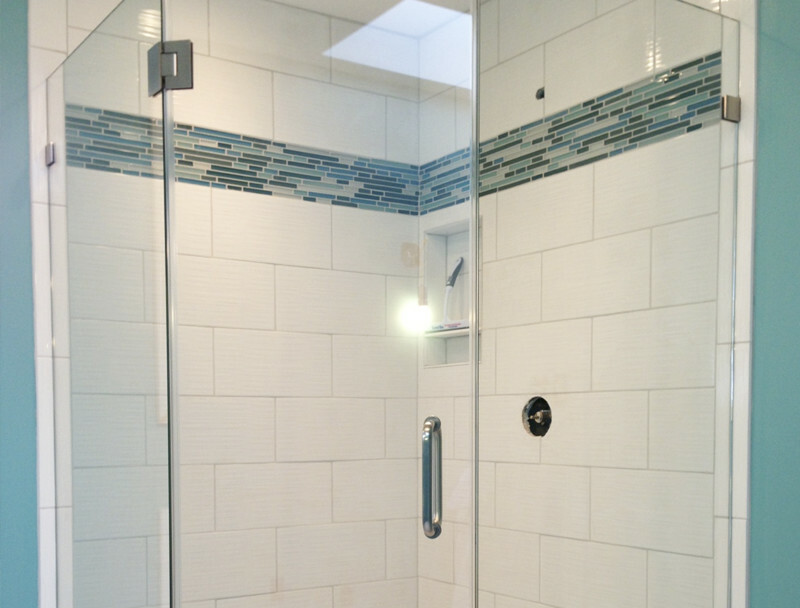 So, what makes glass shower door replacement so easy? The professionals. Quality installers of custom shower doors won’t cut corners and will always cut glass with the greatest precision. Since there is no room for error in measurement, they will make sure the person who measures your space is on the same page as the person who cuts the glass and the person who installs it. This level of detail makes the process that much smoother, so all that’s left for you to do is enjoy it!